A team of researchers from the Joint Research Centre (JRC), the European Commission's in-house science service, has outperformed a global mix of 27 teams from academia and industry, achieving the best overall result at a recent Microsoft-sponsored indoor localization competition in Seattle – and 3D, real-time LiDAR sensor technology from Velodyne proved to be key to the victory. Velodyne is the worldwide leader in the development of real-time, 3D LiDAR sensors for robotics, autonomous vehicles and an array of other applications, including mobile mapping and UAVs. With a continuous 360-degree sweep of its environment updated up to 20 times per second, Velodyne’s lightweight sensors capture data at a rate of almost a million points per second, within a range of 100 meters. The competition, organized annually by Microsoft, gathers teams to evaluate the performance of various localization systems. Providing accurate position information on people and objects indoors, where GPS signals are not available, has long been a challenge for governments and industry. The competition was carried out in two categories -- infrastructure-based systems, pegged to installed radio beacons, and infrastructure-free systems, which rely only on sensor readings. The JRC competed in the infrastructure-free category, where it finished in the top spot, with a localization error of 0.2 m, which also surpassed the best result in the infrastructure-based category. 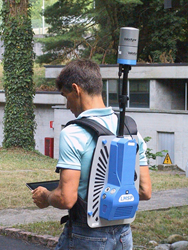 For the competition, the JRC used its proprietary Sensor Tracking and Mapping (STeAM) system, a backpack-mounted device that integrates Velodyne’s HDL-32E real-time, 3D LiDAR sensor, which acquires 10 frames per second as the user explores the environment. The on-board software processes the 3D data, generating the current location and a map of the environment in real-time. A patent application for JRC’s technology is pending. The JRC developed STeAM for nuclear safeguards applications to provide location information and change monitoring inside nuclear facilities. The system can enable nuclear inspectors to associate all measurements and observations made during an inspection with the corresponding location within the nuclear facility and thereby facilitate subsequent analysis and future inspections. Furthermore, by comparing the 3D maps generated at two subsequent facility inspections, STeAM can highlight structural changes that might be indicative of undeclared modifications or additional capacities within this facility. The JRC creates tools for inspectors from Euratom, Europe’s nuclear monitoring agency, and the International Atomic Energy Agency (IAEA), which inspects some 700 facilities worldwide each year. 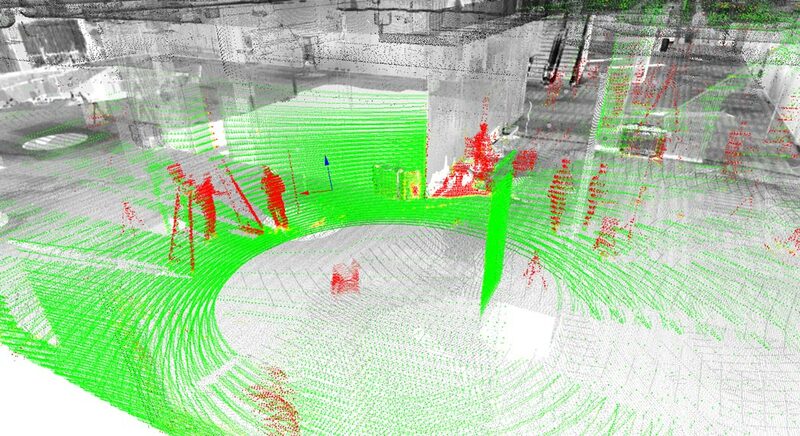 For more than a decade, the JRC has been working with 3D laser scanning technology, to verify design information within nuclear facilities.